I am pleased to announce that March's guest of the month is my esteemed colleague Roberta Weathers. Roberta is a very talented and committed writer, and no matter what genre she writes in, you can be assured that her manuscripts are written from the heart. Her fiction books are highly descriptive and enjoyable reads, in which you can often relate too, or have empathy for the characters. 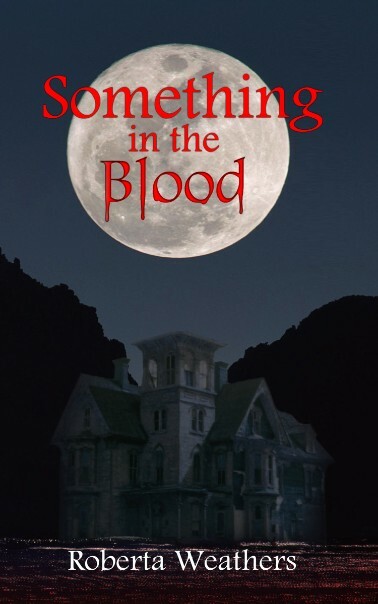 The plots are well driven and have the ability to keep you focused until the very last page. Roberta's non-fiction writes are extremely informative and written in great depth and knowledge of her experiences. She is not an author who is afraid to call "a spade a spade," and yet she leaves you feeling comfortable and in the knowledge that you have made a friend. I invite you all to partake in the world and adventures that are 'Roberta Weathers,' below is the link that will take you to her blogspot, where I am sure you will read with interest what Roberta's life consists of. Enjoy! Roberta Weathers is from the Finger Lakes area of New York State. She has a Bachelors degree in Sociology and a Master’s degree in Organizational Management. She has worked with the older population for over twenty years in different capacities, first as a nursing assistant then as a home health aide and also as a Social Services Director in a long term care facility. 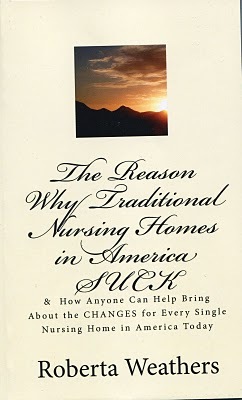 She has worked in the traditional nursing homes as we know them in America. The way they are set up and run has been important to her as they do not resemble a person’s home. Follow me on: http://steveweathers.blogspot.com/ and learn about my latest books.